HomeKitchen AppliancesLooking for the Best Gas Grill Under $150? You Got it! 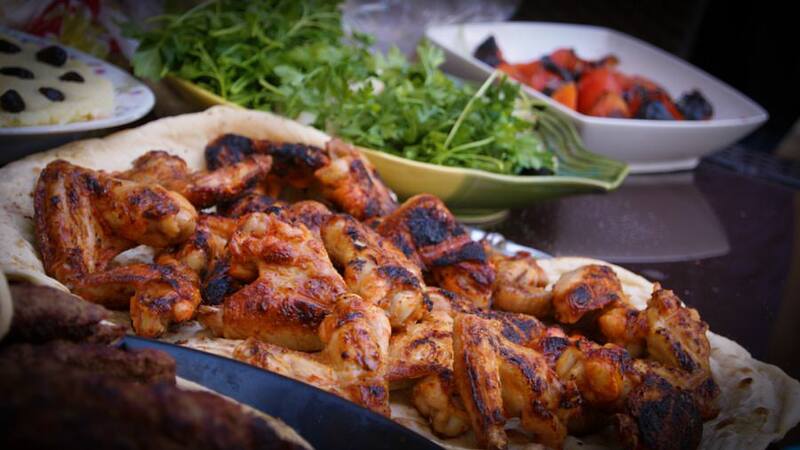 Firing up the grill on the patio or kitchen is one of the most anticipated activities for families and friends. While making your favorite meats and veggies with a cold drink in hand is popular with most of us, grills are a major purchase for every home. And while some may prefer the flavor from a charcoal grill and all the extra work it entails, or an electric grill for its convenience, many grill masters attest to the benefits of using a gas grill. 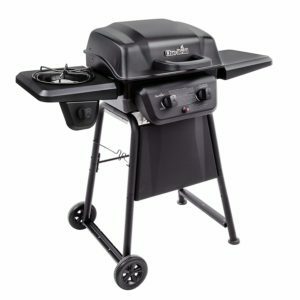 The best gas grill which I would go for is the Char-Broil Classic 280. Read on to find the full review as well as bonus reviews of other gas grills. Starting up a charcoal grill takes time, and effort, and is sometimes quite messy. Starting up a Gas grill does not take up even a fraction of that time and effort. Easy and clean, they heat fast up so your food starts cooking quicker for your brood of hungry children and famishing adults. Gas grills are your friend. They are easy to use, and are less of hassle to clean and maintain. You would like to be able to grill your food at any time of the year, winter or summer. It would be impractical to use a charcoal grill over the winter, or when there are storms. A gas grill will get going no matter the weather conditions- as long as you’re not using it under the pouring rain. Naturally, you may spend a little more upfront when purchasing your gas grill, as opposed to a charcoal grill. However, your gas grill will be cheaper to use, since gas is less pricey than charcoal. 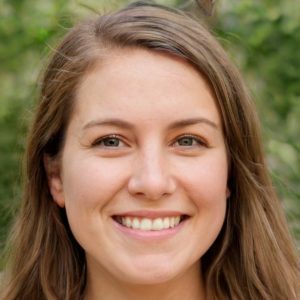 Though electric grill may be as cheap and convenient, they will not impart flavor on your barbecues- your meals may taste much like they were cooked on the stove. Gas grills provide you a favorable option on ease of use, cleaning and maintenance, safety, convenience, and of course, flavor. When you go out to purchase your gas grill, there are a number for categories from which you will need to consider. Whether you plan to build your gas grill into an outdoor kitchen or have it as a stand- alone, these are pretty simple to set up. Setting up basically entails removal of the gas grill from the packaging, setting it up and turning it on. If you’ll not be using a propane tank, you will need to set your gas grill near a natural gas line. This free standing option is very affordable and convenient. You may prefer to integrate you gas grill into an already existing outdoor kitchen, or perhaps you are building one. Integrating this into a built- in grill is a great choice, as it gives your kitchen a better looking and organized space. Having settled for a gas grill, the two fuel options available are propane or natural gas. You may already have a natural gas line installed and hooked up in your patio or backyard. This makes the installation of your gas grill simple and fast. If not, you will need the services of a certified contractor to set it up in your preferred space. You don’t want to have to move the gas grill to a new spot every now and then. Using natural gas is convenient once you set up your gas grill. All you have to remember is to keep your gas payments up to date, and your grilling will never come to an end. Perhaps you prefer not to hire a certified contractor to run a gas line to your gas grill. Propane gas will then be your ideal source of fuel. This is an easy to set- up option, which also allows you to move around with the grill. However, more effort to ensure your fuel does not run out unexpectedly. You will need to replace the tank when it’s empty, or keep a spare on by, just in case. 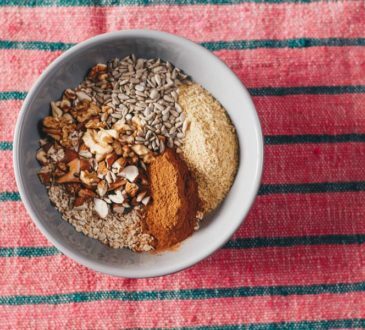 There are different technologies that heat up your foods. Most of the gas grills in the market use convection heating to cook your food. This is where the heat from the flame and smoke rises up to the food, heating up both the food that is on the grill and the air around it. Popular because it is affordable and practical for simple home grilling, it may make your food dry, and take a longer time to reach the desired cooking temperature. Infrared gas grills use a technology that heats the food on the grill directly and evenly. The grill heats up faster and attains ideal temperatures, giving you uniform heating compared to the convection cooking gas grill. The infrared gas grill gives you juicier, tastier foods as it does not dry out the natural moisture from your food. This gas grill is easier to clean, and uses less energy. This convenience and energy saving attribute means it will cost you more on your purchase, but you will enjoy the benefits throughout your grilling adventures. Before you select your gas grill, there are factors you will need to have in mind to help you determine the best gas grill for you. Consider whether you have the space for your gas grill. If you have a large, spacious yard, then the size of the gas grill will not be a major factor. However, if you will need to fit your gas grill in a limited patio space, then you’ll need a compact gas grill that you can easily move to your barbecue site. How Much Grilling Will You Be Doing? Having a large barbecue with unlimited and varied grilled foods ready within a short time will only work if your grill has sufficient space and burners for this. A small grill will have you, and your guests, frustrated. Consider this, three average- sized burgers will fit on a 100 square inch grill top. You get the drift? With the price range for gas grills gracing both ends of the cost spectrum, you have choices based not just on cost, but the frills that come with it. The price can be bumped up by heat options, and whether it will be free standing or in- built. Additionally, if you want a well- known brand that guarantees you even heating, quality sturdy construction, extras- side burners and a rotisserie, you will need to cough up some more on your upfront cost. Beyond this, consider how much gas your grill shall cost you in the long run. 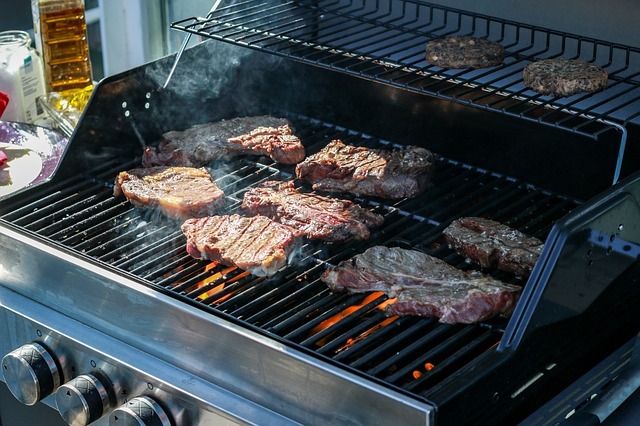 If you will be grilling often, investing in a natural gas connection, and in infrared heating, will be your best option. These are efficient and will save you, and the environment, much needed energy. A measure of BTU will be included in the gas grill’s product description. BTU- “British Thermal Unit” is the heating capability and fuel consumption of a grill. Similar to the horsepower output of a car, it gives you an idea of the power your gas grill will produce. Grills with a larger cooking surface require more BTUs for proper heating, and the higher the BTUs, the more powerful your grill will be. The best gas grill will provide you with evenly distributed heating, and make cooking much easier. If your grill has hot and cold spots, some of your food will cook faster than the rest, and come out unevenly cooked. Heat can be dangerous, and gas has the undesirable risk of carbon monoxide poisoning and explosions, if not used carefully. This should not scare you off! You only need to buy a high quality grill that ensures your safety, use the gas grill safely, know what you’re doing. Your gas grill should be sturdy, not threatening to tip over or fall while you’re at work. Before your purchase, review the manufacturer’s instructions which will provide you with the necessary information you need to use the grill safely. The location of your gas grill should be safe and secure. In the unlikely event of big flare ups, keep it a reasonable distance from your house. Ideally, it should also be placed on a firm surface that is not flammable, such as wood. A fire extinguisher should also be close by, just in case. If you desire a gas grill that will last your lifetime, you may need to up your budget. Some higher-end gas grills come with a lifetime warranty, compared to low others that may last just a few years. Some gas grills come with additional accessories and features that may interest you, such as a Rotisserie, for making juicy poultry meats, or cooking grates that determine how well your foods cook. Featuring 2 burners with 8,000 BTUs, it gets hot enough to sear your steaks and burgers, easily. 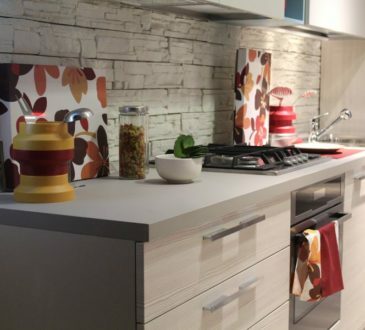 The excellent stainless steel construction provides great insulation to the cooking surface. Function is not compromised in this compact gas grill. The Char-Broil Classic 280 comes with high quality features such as a square stainless steel foldable side shelf which hold plates, tools and seasonings while you cook, while the other side has a side burner for warming sauces and side dishes. It also comes with porcelain coated cast iron cooking grates that hold more food that other compact gas grills, and are pre- seasoned. A twist start ignition makes it easy to light it up, and the temperature gauge accords you the control and monitoring of your foods while cooking. You can save energy while cooking by using the double- walled grill hood. The most unique feature of this grill is its modular cooking surface. You also do not need matches, with its piezo ignitor, you can light your burner with a simple push of a button. This grill offers the exact same features as other higher-ranking grills, albeit with a smaller cooking surface. So if you are looking for a gas grill that is portable but you are tight on space, the Char-Broil Classic 280 is a great grill. The propane gas tank does not come in the package, so you will need to purchase this separately. Easily stored away in an RV, boat, pantry or garage, this gas grill comes with many features. Engineered in the USA, the Dyna- Glo is a durable, powerful and high-performance cooking system with a rugged bronze construction that guarantees strength and longevity. It features a steel, double-wall firebox that encompasses 5 stainless steel commercial grade straight tube burners, each with 10,000 BTUs, 5 stainless steel heat tents, and side burner of 12,000 BTUs. That’s a total of 62,000 TOTAL BTU’s of heat-generating cooking power, on 708 square inches of cooking area. An integrated temperature gauge gives you precise measurements for your grill zone, while the chrome-plated, infinite setting control valves and an easy-push Electro Pulse Ignition guarantees you a quick start-up. 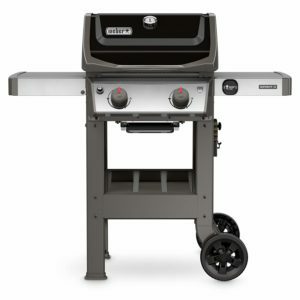 The Dyna-Glo gas grill works with propane gas, which is placed on a sliding propane tank tray that allows for easy access and switch-outs from the front of the grill. It also comes with 3 pieces of heavy gauge stainless steel cooking grates, stainless steel warming rack, and stainless steel heat tents give you versatility in cooking your food. The lid construction is durable, with a double-wall liner to retain heat and improve the cooking efficiency of the burners, along with heavy gauge, steel end caps for stability. 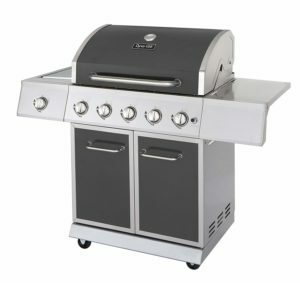 The gas grill comes with a one year limited warranty, and five years on the stainless steel burners. Perfect if your grilling needs are not large, the Char-Broil grill works with infrared technology, so there will be no flare ups, only faster, safer and evenly cooked juicy foods. With a generous 450 square inch cooking surface and 150 square inch warming rack, it also features 10,000-BTU side burning with a fold-down cover that gives you more space for food preparation when the side burner is not in use. The grates are porcelain-coated which are durable, easy to clean, and non- stick. The stainless steel burners can easily be adjusted for high heat or low temperatures to be delivered evenly across the cooking grate. 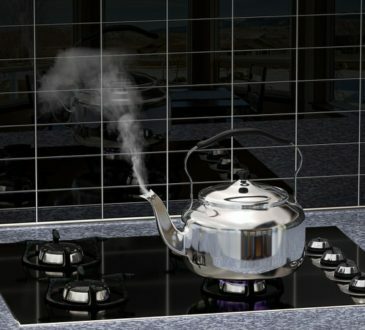 For your safety and efficiency in cooking, the Surefire Electronic ignition system syncs every burner and offers a reliable spark at every burner for quick start-ups. An enclosed storage cabinets with large doors hide the propane tank, and also acts as extra storage space for grill tools, pots, sauces and rubs. It sits sturdily on 4 casters, two of which lock in pace, for enhanced mobility and stability. The Char- Broil comes with a one year limited warranty. If you like grilling at picnics, then Solaire gas grill is the perfect fit for you. It is portable and compact, with a stainless steel body, stainless steel and ceramic burner, and runs on propane gas. 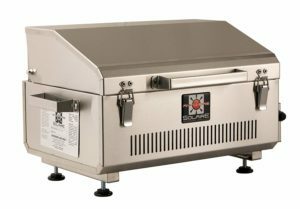 Lightweight and ergonomically designed for ease of carriage, the Solaire grill uses 1 pound propane cylinder, and has the option of a larger tank with optional adapter. Featuring 14,000 BTU/hour and 61.1 Infrared Intensity Index, this is an ideal infrared burner grill for small gatherings at home or in the park. 155 square inches of grilling space allows for the equivalent of eight hamburgers of 4- inches each, and an electronic push button ignition guarantees your safety. The body is constructed from commercial grade welded stainless steel, and the V- shale grill grids helps to keep in the natural juices of your meats, cook your foods well, while reducing any chances of flare- ups. Made in the USA, the Solaire features a carrying bag, and comes with a limited lifetime warranty, and two years warranty on the electronic ignition system. With a good sized and powerful gas grill, the Broil- King Signet 320 is designed to give you a high, even heat. With heavy cast iron cooking grates and powerful output, they let you sear easily, while the linear flow control valves give you control of the cooking temperature. The three 13,333 BTU dual-tube stainless steel burners are uniquely designed, giving you a maximum of 40,000 BTU. They also allow gas flow from the front to the rear, while the inner tube distributes gas throughout the outer tube, for an even flow of gas. You get 400 square inches of primary cooking space with a total of 635 square inches with the Broil- King Signet 320. The reversible, cast iron cooking grates are porcelain coated- non- stick, and it features an enclosed storage cabinet with stainless steel doors. The body is an alloy of cast aluminum and stainless steel, with side tables that fold down to reduce the space the grill occupies when it’s not in use. Caster wheels that lock provide stability. With a limited lifetime warranty, the Broil- King Signet 320 is a great grill. 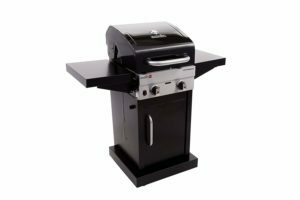 This two burner liquid propane gas grill is built to fit small spaces, and is packed with features such as the powerful GS4 grilling system, iGrill capability, and convenient side tables for placing serving trays. You get a primary working area of 360 square inches, and warming rack area of 90 square inches. GS4 grilling system vaporizes drippings for enhanced BBQ flavor with the porcelain enamel Flavorizer™ Bars, and protects the burners from grease using the grease management system. It also provides even radiant heat distribution with its two stainless steel burners with 16, 500 BTU, and reduces chances of any flare-ups, thus creating even heat distribution. The porcelain-enameled lid comes with a built-in center- mounted thermometer that ensures consistent cooking temperatures. The thin side of the porcelain-enameled, cast-iron cooking grates is ideal for delicate food such as fish and shrimp, while the wider side creates a thick sear mark enhancing the flavor of your food. The sleek open- cart design gives you additional working room, and easy access to the 6 tool hooks for your grilling tools. One side of the grill has a table that conveniently folds down to save space. Weber Spirit Ii E-210 has an easy-to-read fuel gauge located next to the gas tank, allowing you to monitor how much fuel is left in the tank, which is easy to access and remove. With a 10 year limited warranty, the Weber Spirit is retailing a powerful grill. This outdoor griddle easily operates like a traditional grill with its flat cooking surface. You’ll never worry about food falling through the grates or grease causing the flames to flare up dangerously. It is more versatile than a traditional grill, as you can cook your eggs or pancakes on it, right next to your bacon. Use it for your stir fry, grilled cheese sandwiches, hash browns, burgers, steaks and sausages- all at the same time, without burning. What’s more, all the grease is captured in the rear grease drain. With 720 square inches of cooking space, you have plenty of room for large meals. 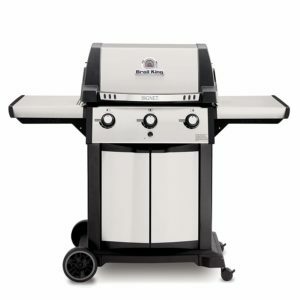 An electronic ignition with a push-button battery operated starter makes this grill easy to use, and since there is no food dripping on the burners or ignition, it will remain reliable for many years. A bottom shelf and two side shelves give you extra work and storage space to keep your cooking tools handy. The Blackstone has a powder-coated black steel frame, four independently controlled, 15,000 BTU stainless steel burners, and a thick cold-rolled steel cooktop for professional quality cooking; all built for durability. For ease in moving to a barbecue site or storage it has four industrial strength, caster wheels, two of which lock for your safety. The legs fold up and the griddle top is removable, to make it easier to store away. Fueled by propane in a standard 20lb tank, this gas grill has an accommodating tank storage tucked securely under the left side shelf. 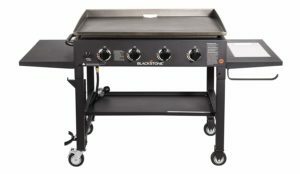 Manufactured in the USA, the Blackstone 36 inch gas griddle is worth checking out.